I don’t know about you, but for me, the most frustrating part of owning an Apple iPad is finding the right case. First of all, a lot of cases say they fit, but once you get them they’re wrong. Then you need to figure out if you want a case that’s shatterproof, pretty, doubles as a wallet, or maybe all 3. It can be overwhelming, to say the least. Unless you have my guide to the Best iPad Mini 4 Cases. I’ve done all the research and testing for you, so all you need to do is read my list and tips, then pick one for you and anyone else you know who owns one! If you’re new to the world of tablets or buying for someone else, you may be wondering why a case is such a big deal. Well, there are a few reasons, starting with the most obvious: they protect your iPad from damage and breaking. A case will keep your tablet dust and scratch-free, and some can even prevent it from breaking if it falls. In addition, cases can be customized to reflect your personality and some can double as a stand to watch movies or a wallet to hold all your essential belongings. Bottom line, the right case can jazz up the look of your iPad, or anyone you buy for, and keep it safe so it’ll last for years to come. If you want a case that is feminine or have a teen you’re buying for, this wallet-style one is a great pick. 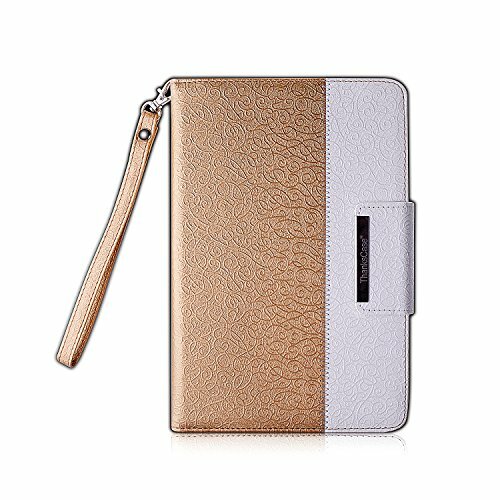 Designed with a chic gold and white design, the LEDNICEKER Apple iPad Mini case case has a magnetic strip for secure closure and 360-degree rotation, so you can watch a show or read at the perfect angle. Even better, the elastic strap clips on and gives an added layer of protection, a big selling point for forgetful kids. 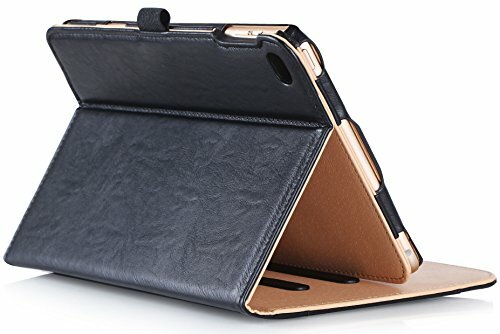 This case is the Cadillac of iPad Mini 4 covers thanks to its superior protective properties. 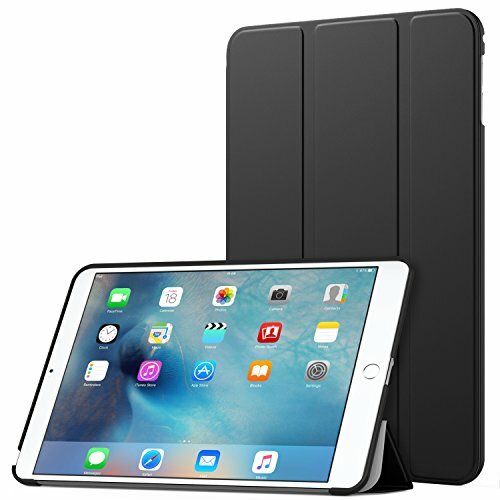 The sleek black case will prevent the iPad from breaking and can stand up to bumps, drops, and other mishaps. And the clear screen protector it comes with will prevent scratches and smudging when you use it. The belt clip makes it easy to carry and a good choice for travelers or students and the clip can also be used as a viewing stand, making it tops with streamers. Professionals or guys will appreciate this case, which has a few key features to keep them on schedule and looking sharp. 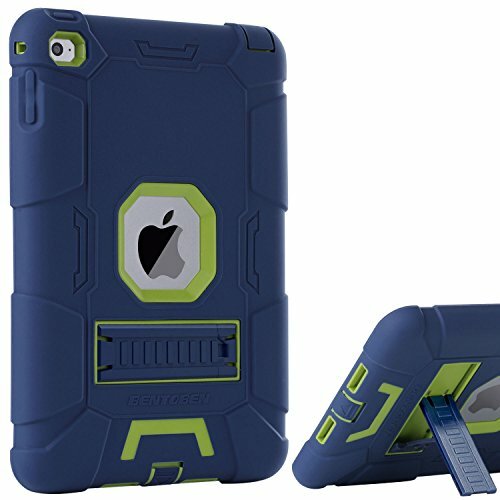 The hard-shell case protects against dirt and dust and the port cut-outs all align perfectly. The case can be manipulated to turn into a stand for reading or watching videos and will auto-shut your iPad as soon as you close it, saving you precious battery life. For forgetful students or a husband who is always racing to meetings, this is a big plus. 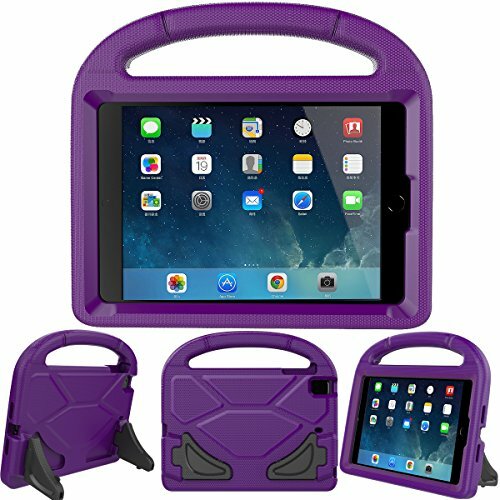 If you have kids you need to grab one of these cases, which will help keep their iPad safe and sound. Drops, kicks, bumps, and more are no match for the durable, thick-foam EVA foam it’s made with. And it will also stand-up to repeated usage, so it will remain intact no matter how many hands are on it. Speaking of which, the foam handle allows for a secure grip for smaller hands, preventing unwanted drops and the case can convert to a stand- so kids can watch their favorite cartoon anywhere. Looking for a case with a touch of class? Then check out this supple leather case, which provides protection while conveying a chic, polished look. The interior is soft and cradles your iPad 4 while the exterior keeps put dust and grime. There is a stylus holder to keep it safe and secure when not in use and multiple slats to turn the case into a stand at varying angles. Great for grown-ups and those who spend a lot of time at the office. 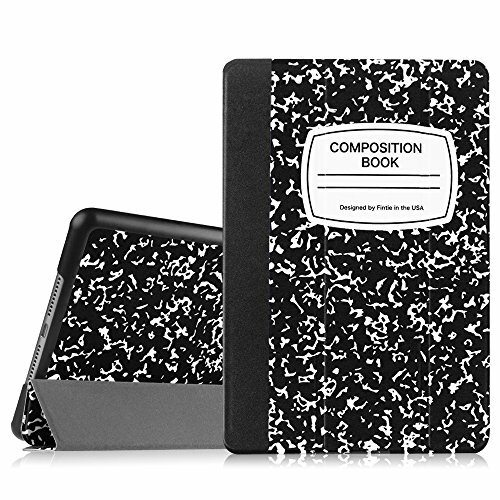 School kids will love this clever case, which looks just like a school notebook. This cover is one piece and clips on, so your iPad is secure at all times. The hardcover front will act against knocks and can also fold back in pieces, revealing only what you want or need to see. Made of soft, but durable silicone and hard PC, this cover will give you a strong grip yet feel soft and comfortable in your hand. The material will prevent hands from sweating and will also keep its color and shape. Best of all, it will eliminate damage due to shock or dust, making it a top pick for kids. Price: Is the case worth the cost? Make sure you are not paying too much for a case, especially if it looks like it will fall apart after repeated uses. Quality: Check the materials used and be sure what it’s made of fits your needs. For instance, if you live in a rainy climate a leather case may not be a good idea. Design: Pick a design that fits you, or whoever you’re buying for. If you’re buying for your boss, lots of bling may be a bad choice. The case should fit the owner and its needs. Function: If you watch a lot of movies you want a case with a stand; if you have kids damage control should be at the top of your list. Pick a cover that protects. I hope this article on the Best iPad Mini 4 Cases helps you find what you need. It’s a lot less frustrating to find what you, or your friends and family need when you know where to look. All these cases are high-quality, will protect your iPad, and best of all, look great!